The C40 Sao Paulo Summit assembles representatives from 40 cities to join forces in tackling climate change and global warming. Photo by Fernando Stankuns. 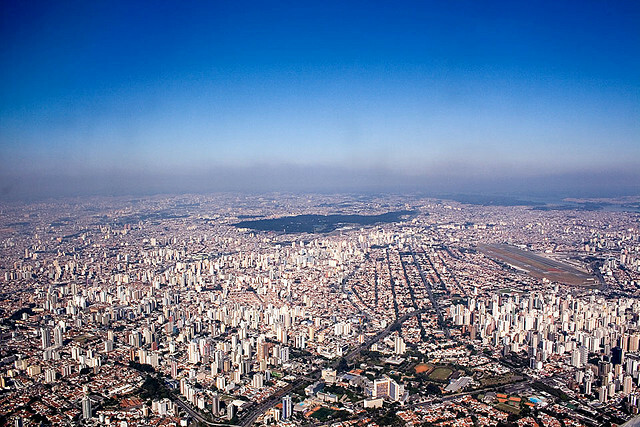 Today marks the first day of the C40 Sao Paulo Summit, an event that brings together Mayors from leading cities around the world in a partnership to reduce carbon emissions and increase energy efficiency. Organized by C40 (Climate Leadership Group), the Summit acts as an opportunity to clarify and develop the working relationship within the members of its group. Interactive sessions and a comprehensive program allow participating officials to share best practices and identify collaborative projects, by focusing on topics such as transportation, energy, financing, land use and solid waste—issues essential to the sustainability of cities. The host of the event, C40, was originally created in October 2005 by Ken Livingstone, then-Mayor of London, when he invited representatives from 18 leading world cities to meet, discuss and join forces to tackle global warming and climate change, the Summit’s website explains. Since then the number of participating cities has grown to 40, welcoming representatives from Mexico, Brazil, India and Turkey—countries within the EMBARQ (the producer of this blog) network. Most recently the organization announced its partnership with the Clinton Climate Initiative, a step to combine and strengthen efforts towards sustainable cities. “At a time when domestic legislation and international treaties to address global warming have stalled, the merger represents a major bet on the future of populous cities like New York, Seoul and Tokyo as a laboratory for experimentation and action,” the New York Times reports. This year’s Summit emphasizes transportation as a major influence in cutting carbon emissions by holding sessions titled, “Bus Rapid Transit & Low Emission Bus Programs,” “Compact Cities,” “Bicycle Infrastructure & Citywide Cycling Programs,” “Green Taxis,” and “Strategies for Smart Cities.” The event will also host invitation-only sessions on environmentally-conscious development, inter-city connectivity and electric vehicle networks. Follow the Summit on Twitter and Facebook.